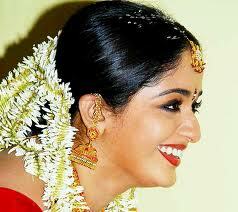 This page has Pictures, Images and Profiles of famous Kavya Madhavan. To see more Actresses like Kavya Madhavan click here : Aishwarya, suraiya, ranjani, karishma kapoor, ileana, simran, bhavana, madhuri, gopika, navya nair, padmapriya, meera jasmin shakeela, nayanthara, karthika. 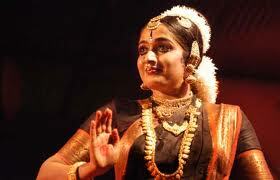 Kavya Madhavan was born on 19th September 1984 in the village of Nileshwaram in the northernmost part of Kerala - Kasaragod District. Her father P. Madhavan and mother Shyamala call her Minu. Kavya is from the Shaliya community which is traditionally involved in the weaving business. Kavya went to Rajas High School in Nileshwaram, and went onto study Humanities in the Open University System. She also (like many of her contempories) was awarded a Kalathilakam in a sub district school Youth Festival. 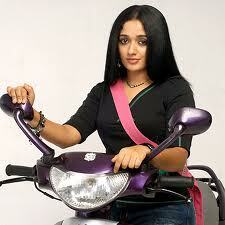 Kavya started her career in filmdom as a child artist. The first film she appeared in was Kamal's Pookkalam Varavayi (1991). Her talent was recognised and she was soon offered many other projects, one of which was to play the heroine in Lal Jose's film Chandranudikkunna Dikhil - a superhit. Kavya and Dileep, a fellow actor (and now married to fellow actress Manju Warrier), have often been reffered to as the golden pair, since the pairing have often produced several huge hits: Chandranudikkunna Dikhil, Meesa Madhavan and Pappy Appacha. She has acted in mostly Malayalam films and a few Tamil films, of which Kasi was her first and only film in Tamil that performed well at the box office. She has co-starred with some of the greatest names in Malayalam films including Mohanlal, Mammooty and Dileep. Kavya was married to Nishal Chandra for just over a year from Feb 2009 to Jun 2010. She had put acting to one side briefly during her marriage, but after filing for divorce has resumed her career.